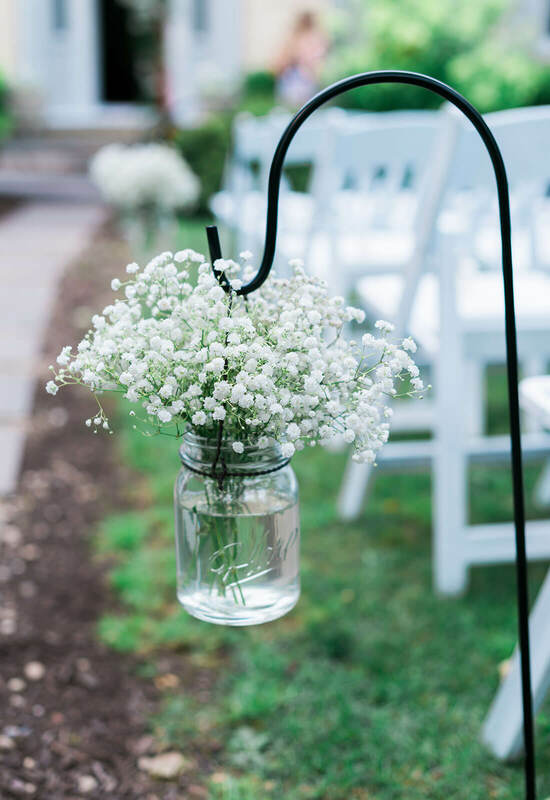 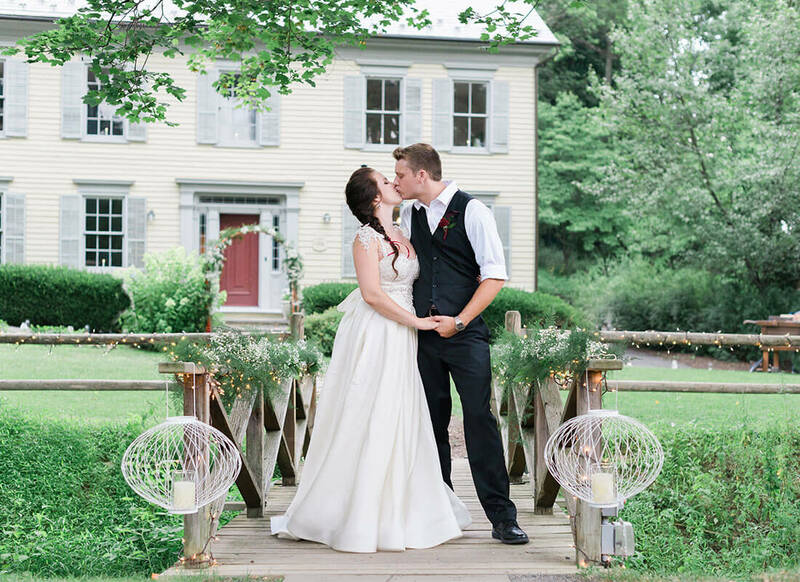 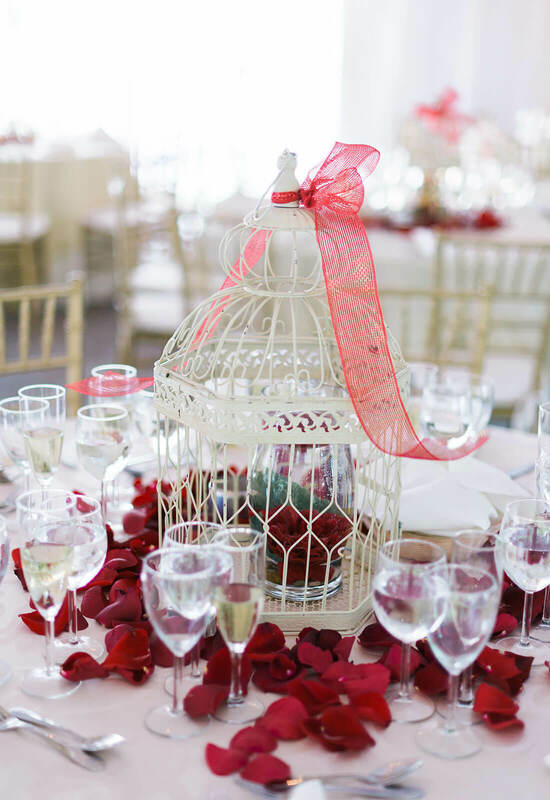 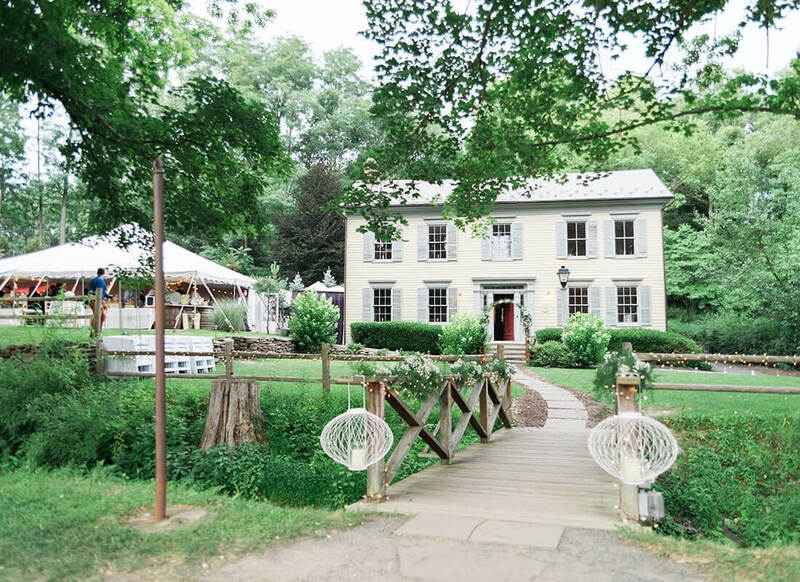 The heart knows what the heart wants, and Heather Chester's heart wanted a wedding that was “simple, elegant, and carefree.” Her heart's desires came true when she wed Aaron Chester on July 26, 2015 in Hope, New Jersey at The Inn at Millrace Pond. 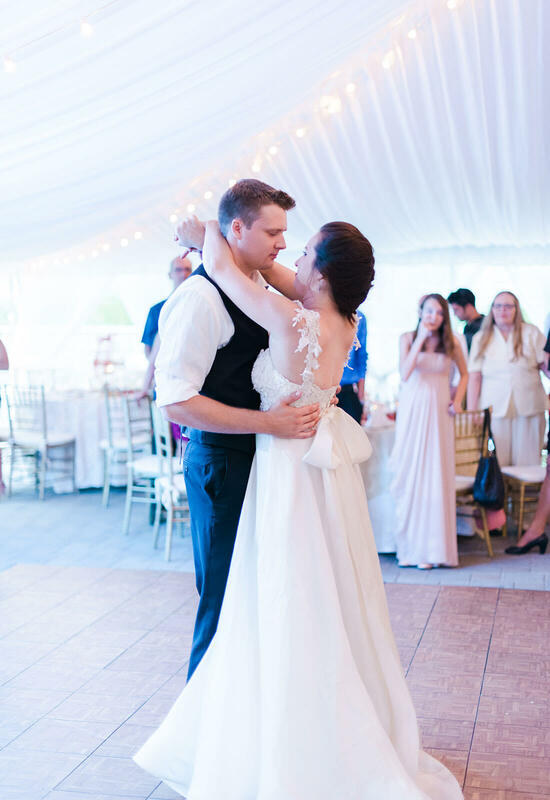 A vision in white, it was love at first sight when Heather first laid eyes upon Pnina Tornai's satin A-line gown with lace details and Swarovski crystal embellishment. 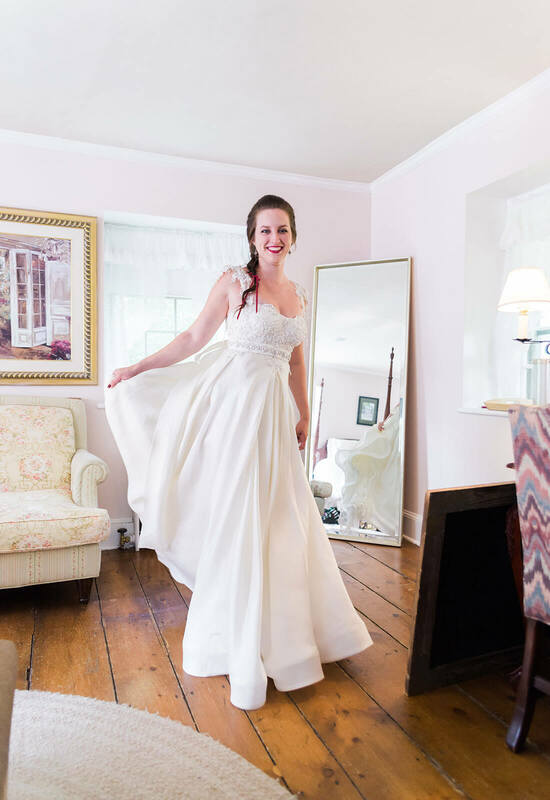 Surprisingly, sight was all Heather had since she had only seen her gown in pictures when she chose it as “the one”! 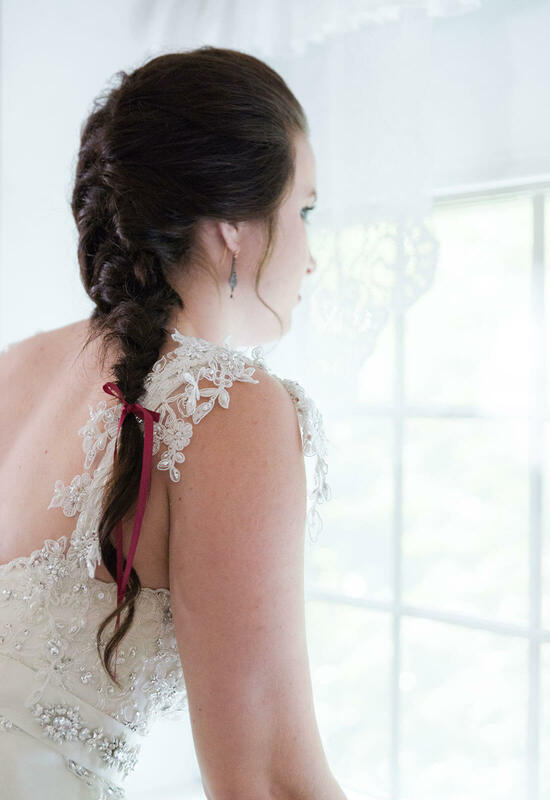 Crazy fact: Her mother picked out the dress for her while she was across the country in Washington attending school. 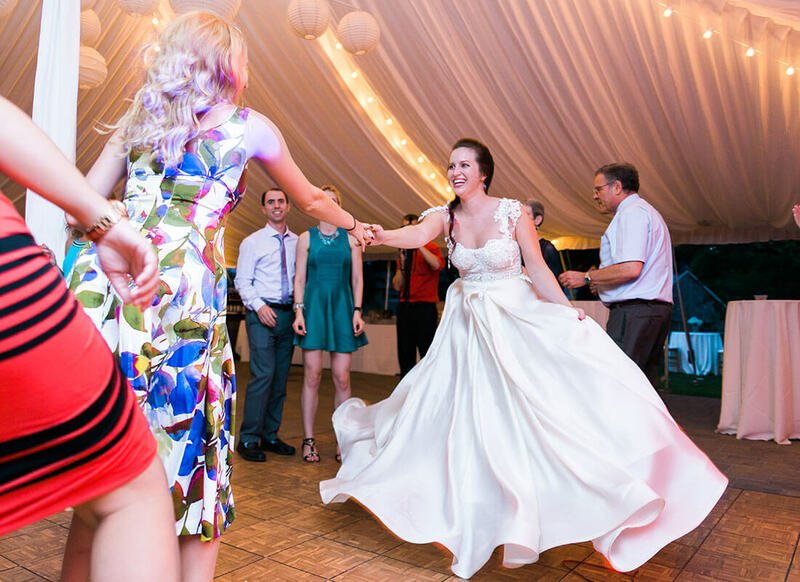 Even in pictures though, Heather was sure that this was the dress for her. 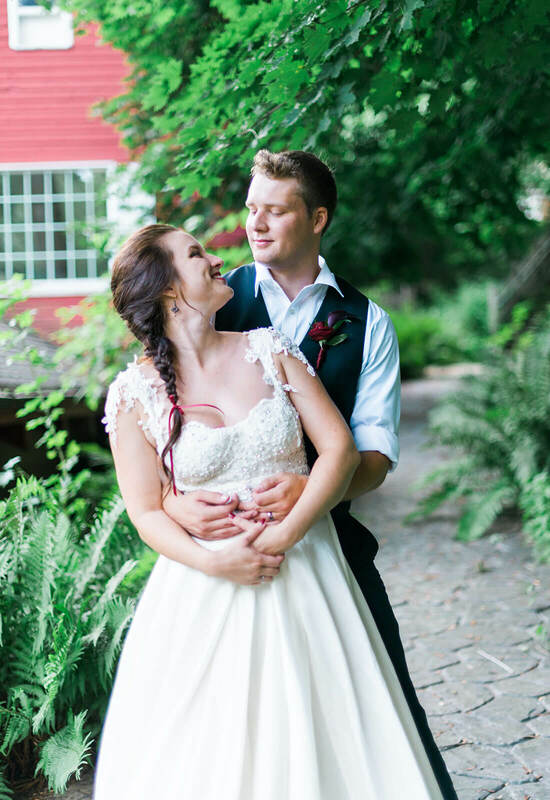 With a wedding that looked like a Pinterest addict's dream, Heather effortlessly walked down the aisle, radiant and comfortable in her carefree yet elegant Pnina gown. 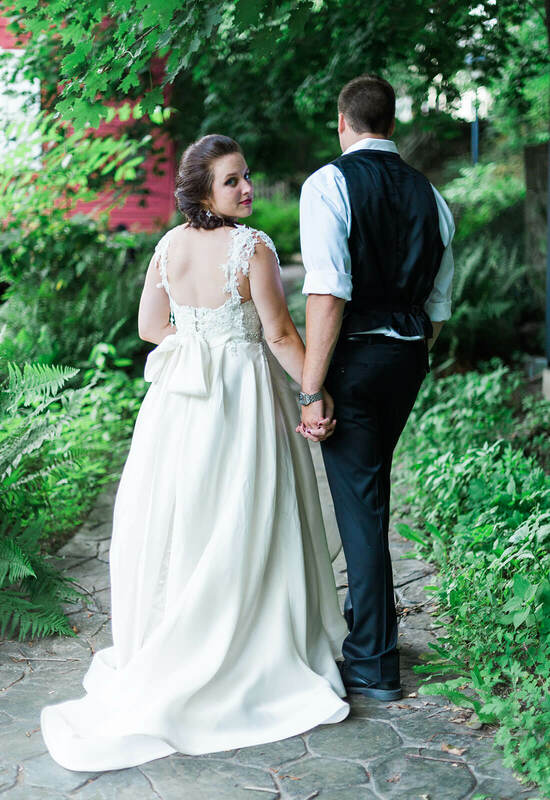 Going for a “very earthy vibe,” the beautiful lace sleeves perfectly complimented the flowery scenery around her. 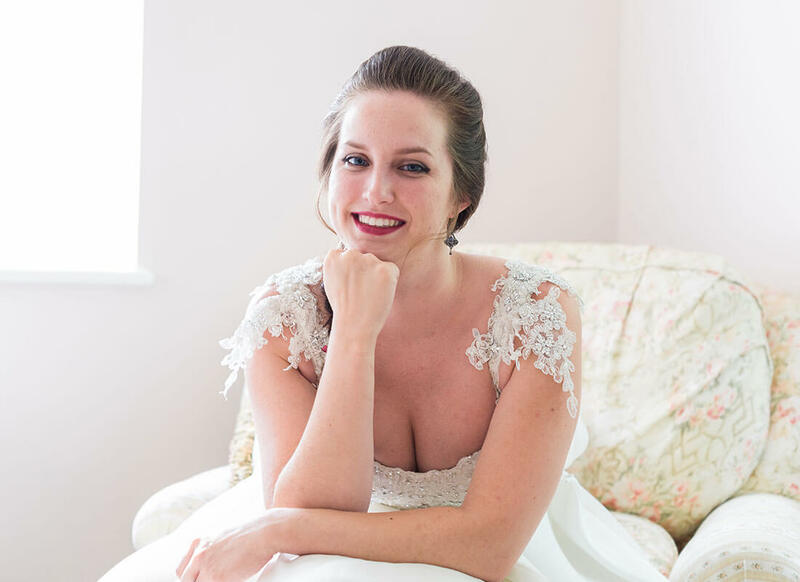 Essentially looking for Cinderella without the pomp and frills, she knew which designer she could count on to deliver her dream wedding dress. 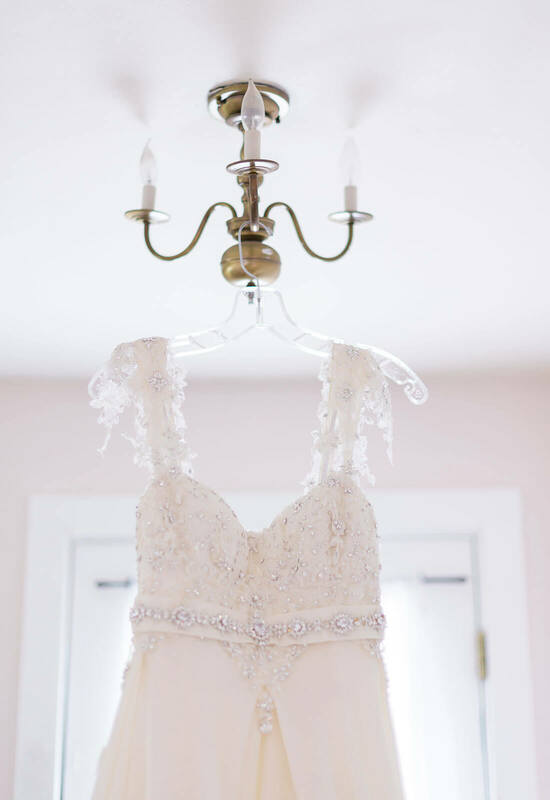 Though she was not an avid watcher of Say Yes to the Dress, Heather knew of Pnina Tornai and her attention to detail. 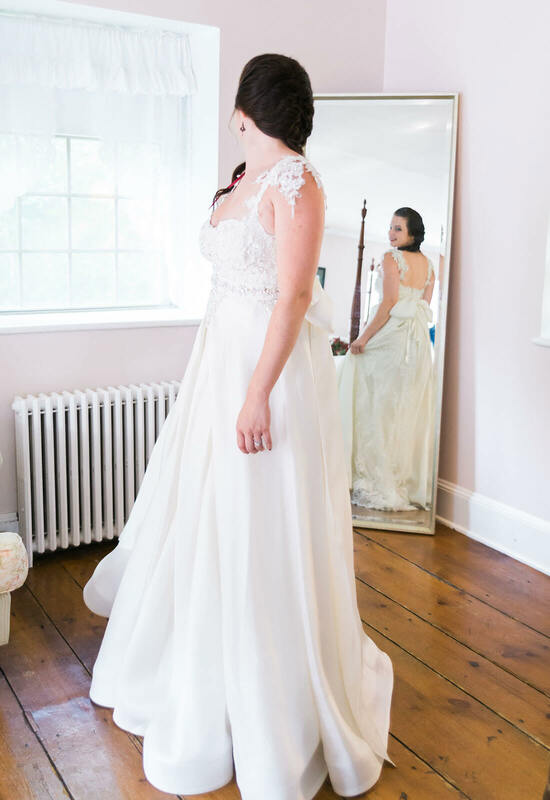 “I cried the first time I tried it on. 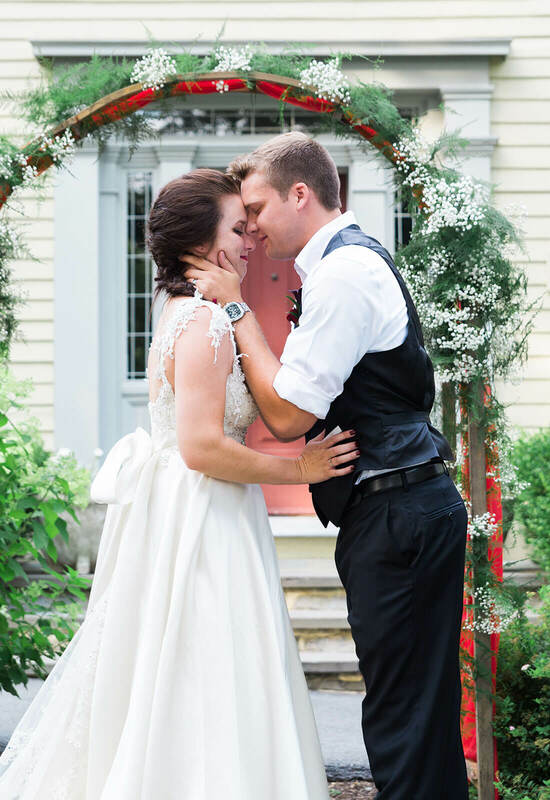 I just thought I would never have something as beautiful as that on me,” explains Heather of the magical moment she finally tried on her dream wedding dress. 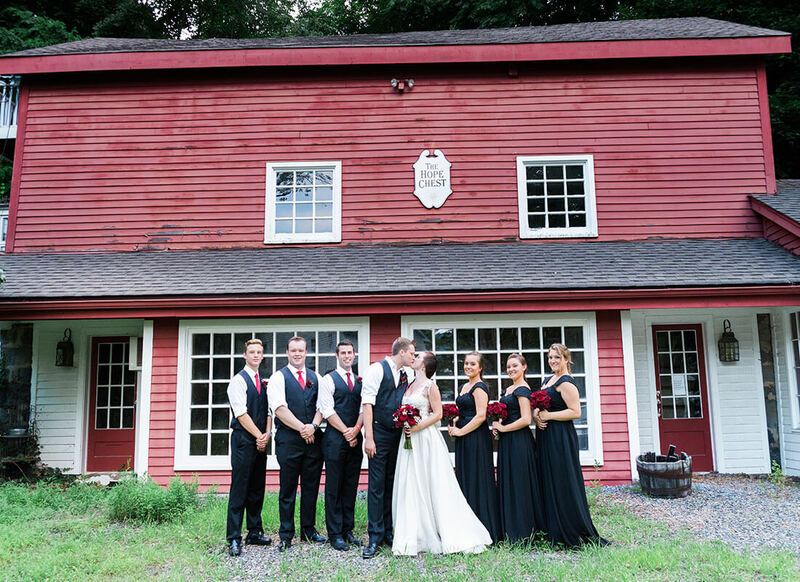 Dressed in black and red, the bridesmaids and groomsmen served as the perfect color contrast to Heather's traditional white dress. 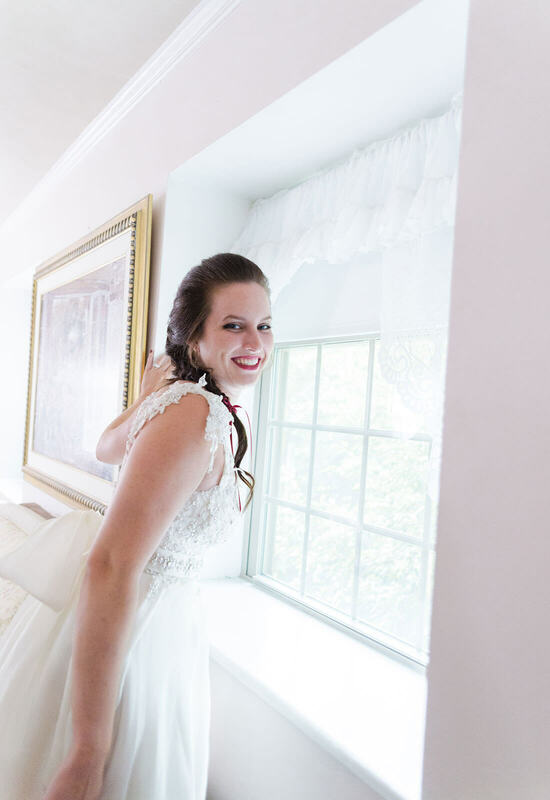 The bride made sure to have her pop of color too with her ruby red lips, red bouquet, and maroon hair tie that matched the ones worn by the bridesmaids. 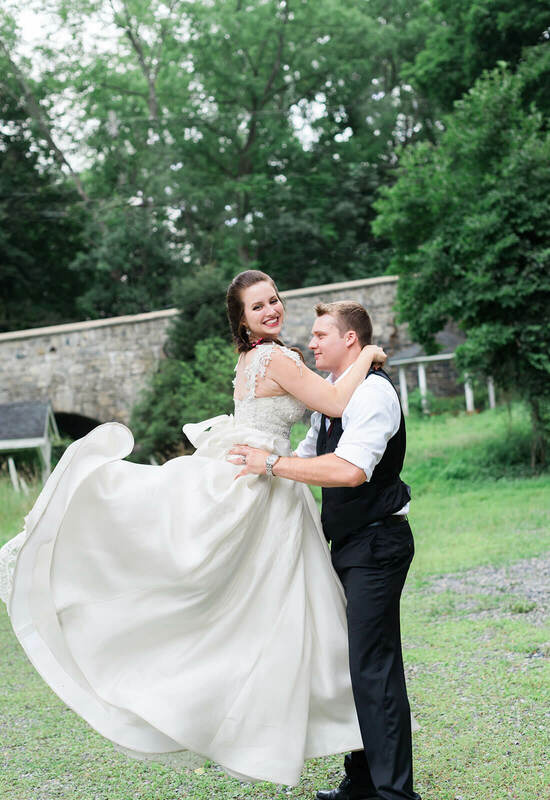 Wearing her stunning Pnina Tornai gown and wed to the love of her life, Heather only had one thing left to do: dance the night away without a care in the world.